Shannon Group has started work on a €10m high spec office block to facilitate major inward investment and employment. 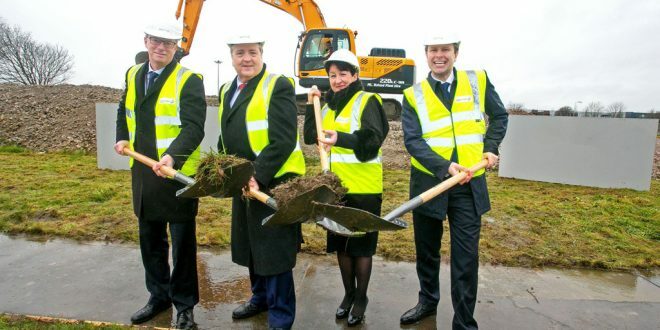 Pictured at the sod turning were, from left, Ray O'Driscoll, Managing Director of Shannon Commercial Properties; Pat Breen, Minister of State for Employment and Small Business; Rose Hynes, Chairman Shannon Group and Matthew Thomas, CEO Shannon Group. Photograph by Arthur Ellis. The inward investment potential of the Shannon Free Zone is set to be significantly boosted following the sod-turning by Shannon Commercial Properties for a €10 million state-of-the-art new office block. 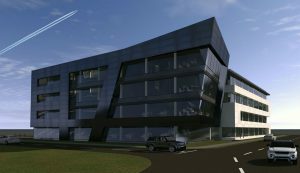 The high-spec 55,000 sq ft facility, built to LEED (Leadership in energy and environmental design) Gold standards and located on the newly named Airport Avenue, is the first speculative new-build by Shannon Commercial Properties, a Shannon Group Plc company. The build is part of a €25 million first phase redevelopment programme at the Free Zone. Launched by Minister of State at the Department of Jobs, Enterprise and Innovation Pat Breen TD, the facility will be built to top international standards and is designed for FDI and Irish enterprises seeking high-end office space. In excess of 120 construction jobs will be sustained during construction. Speaking at the sod-turning, Minister Breen said that the investment has the capacity to attract significant new employment into the region. “This investment by Shannon Group, through its property arm Shannon Commercial Properties, is not just for the Free Zone but for Co. Clare and, indeed, the entire Mid-West region. The state-of- the-art facility will have the capacity to attract hundreds of jobs into the Shannon Free Zone. Shannon Group and its property wing Shannon Commercial Properties are to be commended for making this investment, which has real potential as a location for inward investment,” he said. Shannon Group CEO Matthew Thomas said that the market opportunity for the facility is already evident. “We are building in response to market demand. We worked closely with the IDA on our research and know that this type of high-end office space is in demand at the moment and without having put a shovel to soil, we have already received enquiries. To that end, we are confident that this investment will further strengthen the investment in the Shannon Free Zone and will bring significant jobs to Shannon, Co. Clare and the Mid-West region,” he remarked. Shannon Group Chairman Rose Hynes said the Shannon Group is now established two and a half years and, with regard to its property portfolio, has hit the ground running with a range of investments, the latest of which is this office block. Shannon Commercial Properties CEO Ray O’Driscoll said that while they have already completed significant investment as part of their €25 million Phase 1 programme, including a 70,000 sq ft build at GE Sensing, this is the first investment they have made in a facility that is not for an already existing tenant. “We are confident that this will deliver a very significant return for the region due to the high specifications of the building and also because of the market demand for high-end office space,” he said. 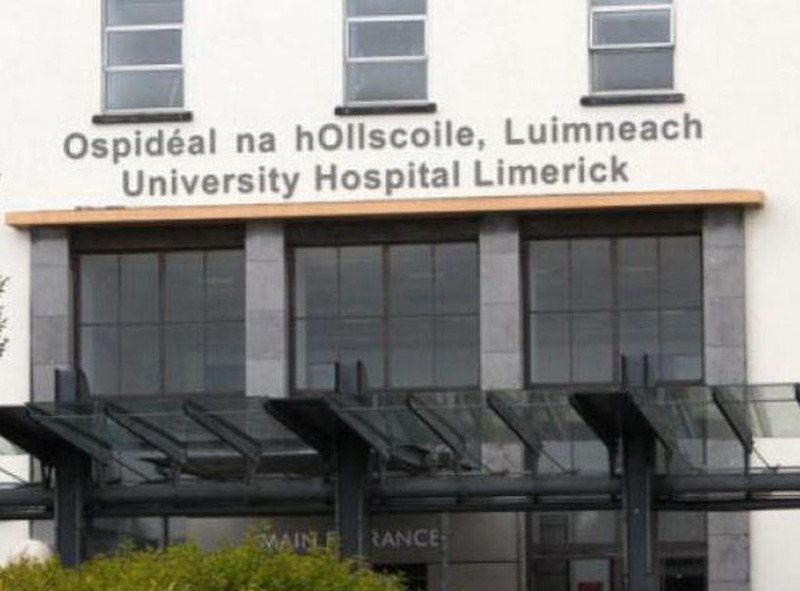 The main contractors for the works, Sammon Contacting Ireland Ltd, will commence work with immediate effect. The design team comprises O’Neill-O’Malley Architects, Tobin Consulting Engineers, Lawlor Burns & Associates project managers, Don O’Malley & Partners Consulting Engineers; Meehan Associates , Cuddy Quantity Surveyors.